Just in case you didn't see the article in this week's Saturday Times , allow me to present it to you now. 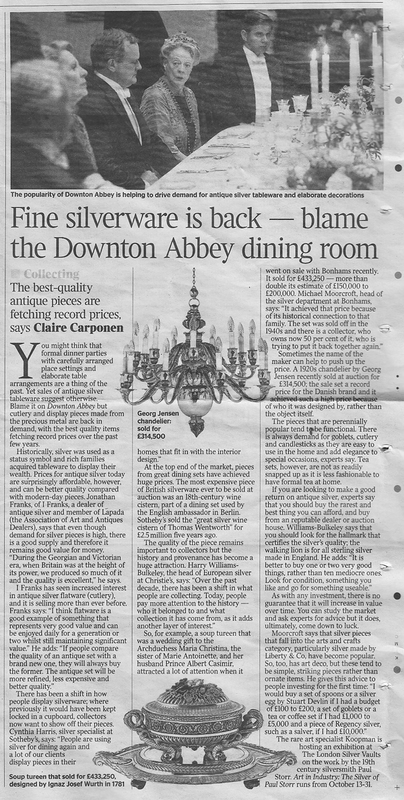 Our very own Jonathan Franks and others,offer up a few words about the renewed trend for silver on the dining table. Check out the article and make some time to come down and check out for yourself, what’s on offer down here at the London Silver Vaults. Remember, Christmas is just around the corner…..
Borough Market. A Foodies paradise.